The power of desktop accounting. The magic of the cloud. Access your data anywhere, anytime and on any device including a PC, Mac or tablet. Automatic software and compliance updates, with no need to manually install. Share your files instantly, and work in real-time with your accountant or bookkeeper. Your data is kept safe in Australia with the best technology in the business. A single online accounting solution. We’ve spent years perfecting our online accounting software for Australian businesses. Up to 200 simultaneous users and unlimited companies. Easy entry, tracking and reconciliation of all your inventory movements and costs. Process pay for unlimited staff. Comprehensive employee management. Connect to your financial institution and download all your bank transactions. Store up to 1 million inventory, customers & suppliers combined. BAS lodgement via your online accounting software. 14 pre-defined and customisable roles to keep your important data safe. 200+ types of reports & graphs plus multi-company reporting. Manage and record transactions in different currencies. Create and tailor invoices to include your logo, payment terms and more. Customisable dashboard with drill-down capability into your finances. Stay in control and increase profits with our powerful job tracking tools. Switch or upgrade to Accounts Hosted. It's fast, easy and free* to convert your data. Additional cost and a custom quote will be provided if converting transactions, balances (account, customer or supplier), employee payroll setup and if total combined lists contain more than 600 records. To get started check out our conversion page. Upgrade your Reckon Accounts software to Accounts Hosted and get all the features of your current software, plus the benefits of online accounting. To migrate your data you just need to create a back-up and upload your company file into Hosted. If switching from Reckon Accounts Personal range to Accounts Hosted, check out our conversion page. If switching from Reckon One to Accounts Hosted, check out our conversion page. *Free conversion only includes chart of accounts list, item list (inventory quantities on hand are not included), customer list, supplier list and employee list (name and address only). Additional cost and a custom quote will be provided if converting transactions, balances (account, customer or supplier), employee payroll setup and if total combined lists contain more than 600 records. We offer annual and monthly pricing. The choice is yours. Accounts Hosted can be purchased on an annual or monthly subscription. Total cost for annual licence holders for the first 12 months is $670. Monthly pricing also available at $61 per user per month. New customers can sign up for one month use only and you pay on a month by month basis. Annual licence holders who wish to move to monthly pricing must cancel no later than 30 days before their expiry date. Annual subscription 3 month free offer: 3 months additional access, totaling 15 months for the cost of 12 months for new annual license customers for the first year. Reckon is here to help ensure you’re compliant with the new reporting changes coming in 2018. Existing customer? Learn how to enable STP in Accounts Hosted here. We’d love to help. Request a call back below, or phone 1300 756 663 to find out more. Our customers constantly rave about our exceptional support team. I was helped from the beginning of the process until the end and every effort was made to ensure a smooth transition online. Nothing was too much trouble. Very helpful and answered all my questions that I had in regards to changing over to the cloud. Supported web browsers: Chrome 34+, Safari 5+, Firefox 29+, Internet Explorer 10+, Opera 12+. Please visit our conversion page for more information. What is the Reckon QuickBooks relationship? For over 25 years Reckon republished and distributed QuickBooks desktop accounting software to the Australian market under a licencing agreement with Intuit USA. In 2014, QuickBooks decided to have direct presence in Australia and the decision was made to re-brand the existing QuickBooks desktop range to Reckon Accounts, and develop our own cloud accounting software. 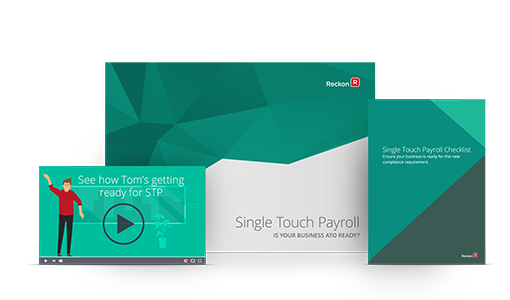 The Reckon Accounts range is built on the original QuickBooks code base and is the most functionally rich accounting software in Australia because it is backed by over 30 years of product development and investment. In short, if you used QuickBooks Desktop or QuickBooks Hosted, it’s now called Reckon Accounts or Reckon Accounts Hosted. Similarly, if you used to use Quicken personal finance software, this is now the Reckon Personal Range. For more information visit our About us page. When you sign up to buy or trial Accounts Hosted, your login details are displayed on screen and you will also receive an email confirming these details. You can then log in to the software via our login page. Do you provide training on Accounts Hosted? You can access training for Accounts Hosted on the Reckon Training Academy or attend one of our webinars. You can also get in touch with our network of partners for expert training and support in Accounts Hosted.